Say Uncle! – Star City Games In-Store Programs Homepage! Uncle’s Games was founded almost twenty years before the first Magic: The Gathering card was designed. Its customers include Mike Elliot, Mark Rosewater, and Richard Garfield. With locations in malls all over Washington state, Uncle’s Games is a natural fit for the StarCityGames.com Invitational Qualifier program. Of course, mall locations also have their limitations; what do you do when you want to run a large event? I asked Patrick Day, tournament organizer at the Uncle’s Games Bellevue location, about running large events, Premier Invitational Qualifiers, and the new Creature Collection Retailer Bundles. 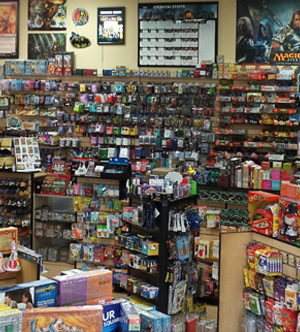 To see what Uncle’s Games has going on at their Bellevue location, check out their Facebook page. If you would like your store to be featured in this column, send an email explaining why to storespotlight@starcitygames.com. http://isp.starcitygames.com/wordpress/wp-content/uploads/2014/10/2014-07-uncles-games.png 270 710 Luke Flora http://isp.starcitygames.com/wordpress/wp-content/uploads/2019/01/ISP-2019.png Luke Flora2014-07-03 15:45:342017-04-13 12:51:04Say Uncle! Planning for Success Introducing Game Night!